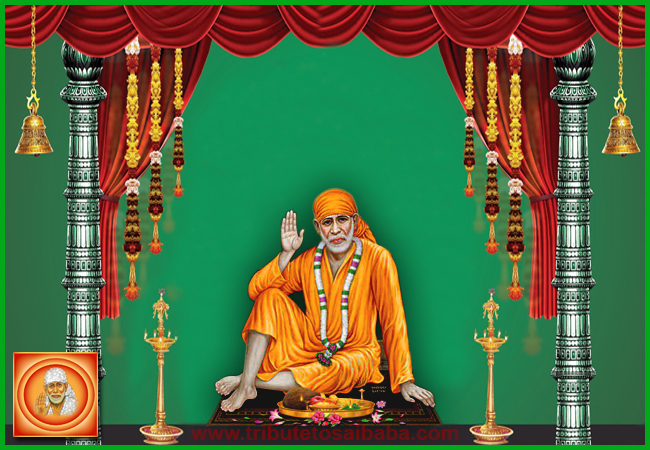 How Sai Baba Showed me the Right Path! One of Sai Devotee says “Sai Ram Everyone. Today I want to share my experience. Few days before a Sai Sister shared about Switchwords in our Sai Jyoti facebook group. She described why we should not use it. I want to share something similar to that. How Baba solved my confusion and brought me to right path. It happened since around a month, I saw many of my friends are discussing about Switchwords for solving their problem. A year before I even heard about Switchwords from my friend. At that time, I did not pay much attention. But just now a month before when I heard that my close friends are discussing daily about it and they gave a feedback that their problems are fixed. At that time, I goggled it first, read about it. Seen many videos and I found like many people are using it. At that time, I felt like I am lagging behind something, or I am not updated as per today’s standard. I need to learn it. I thought that if its related to energy or vibrations, I must learn it. I was being some competitive at that time or I was finding some needs in my life to use it. As everyone has problems in their life, nobody is perfect. As a working professional I also had few issues. I started considering them big issues. Instead of correction or solution, I thought that if I can solve these through Switchwords. My Baba was looking at these, how week by week I was changing. First Week, I read and did research about Switchwords and second Week, I got my Switchword from an expert. And I read or chant that as per their Switchword ritual. I always feels that I am connected so well to Baba and he was planning to show me his magic. On next friday, I did some breakdown unintentionally in my office. It should be considered as a blunder. If one could do that then he/she should have a worst image in office, equivalent to fired also. When I noticed that mistake , I was very much scared and it was very late to fix the issue. Because no one was there to help me out. I kept on chanting Baba’s Shri Sai Kasht Nivaran Mantra at that time and asked for help. Suddenly I thought I should read my Switchword. It’s going to help. Then I thought that I have already done the blunder. Still I doubt Baba. I kept on chanting Baba’s Kasht Nivaran Mantra and started doing disaster recovery without informing my manager and team. I asked Baba, please don’t involve them in this. It would be a major issue. Finally from 6pm to 12am I fixed everything without getting involved any internal person. Baba arranged helpdesk even in the late evening, when they are never there to fix my issue. And luckily everything got sorted out. One by one all helped me at 9 pm suddenly again something happened and I thought now nothing is going to happen. I took Shri Sai Satcharitra and said to Baba that now only you can help in this last stage. The time I took the holy book Shri Sai Satcharitra in my hand. Everything got sorted out. I got message from helpdesk that we’ve sorted out the issue. it’s fixed. I verified. I was on cloud 9. I thanked a lot to Baba for helping me. When I was drawing a summary at late night around 1 am. I collected all points. A Sai sister share about Switchword. That day on my phone, I got Baba’s message in evening “Why are you going here and there when I am here with you to help”, at that time that event had not been happened. Finally, in the night I got the coincidence that the post from a Sai sister and how the same thing happened, I took my Switchword 3 weeks before and then Baba’s timely help and finally Baba’s blessing message of changing my mind to a view. I am posting his Blessing of that day as a picture. After this I found where there is faith in your lord , SAI is the best Switchword. This actually helped me as a needful on time or a miracle. Switchword are related to west culture where people work as per the psychology. Switchwords, I felt scientific, psychological rather than spiritual.